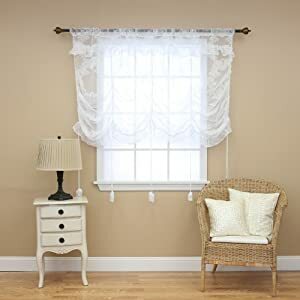 Pinning up those curtains with small strips of fabric like ribbons, laces, organza, net and silk looks not only great, but the idea is a very practical too. 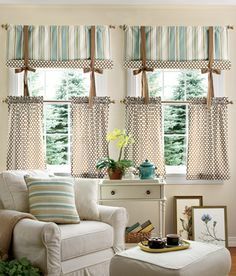 Moreover, one can experiment with the tie up curtains to create an informal look and formal look. Make use of the lightweight fabrics and create different and unique looks with every room. These curtains are available in a huge range and are very affordable too. 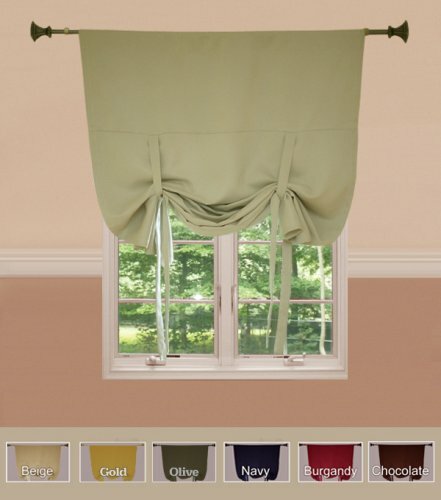 Those little accessories on the curtains can alter the look of your room and window treatments. Fabrics like silk in tie up curtains can bring in a touch of Indian ethnicity. 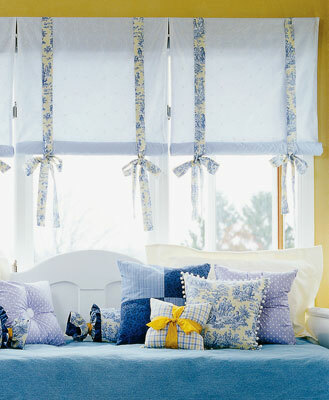 The ribbons used to tie up the curtain can be made from contrasting fabrics and colors. Treat that little piece of fabric with a little more respect, and you can really make a difference to the look and appeal of the room. 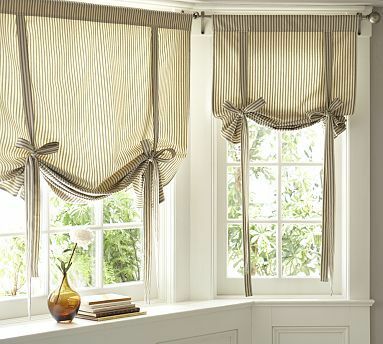 All you need is a little creativity to accentuate your curtains, by opting for a different style of tie back. One can choose the same color but with a curtain trim. Those tiebacks are often sold separately at curtain accessory stores, and one can find a huge range in tassels, tiebacks, lace or satin and even tie backs made of metal.